Are you drowning in claim denials and rejections? Are your denial rates high? It is inevitable for healthcare organizations to experience denials in today’s complex billing arena. Industry standards for denial rates are between 5-10 percent. If your denial rate is above 10 percent, then "Houston you have a problem!” It is time to build a strategy to reduce your denial rate. Claims denial avoidance processes should be proactive but in most healthcare organizations, they are more reactive. It is important to be proactive from a revenue integrity perspective at the front-end, and accurately collect and report patient and insurance information before or at the point-of-service. There are ways to be proactive from the billing side as well. As you develop your action plan, it’s important to define your terms. You and your staff need to understand the difference between a claim rejection and a claim denial. Research from the Medical Group Management Association (MGMA) estimates that payers underpay practices in the U.S. by an average of 7% – 11%. In a time when budgets are tightening and reimbursements are shrinking, it’s more important than ever to make sure your organization is being paid correctly. Some organizations take this seriously but many don’t spend nearly enough time focusing on underpayments and their bottom lines suffer as a result. 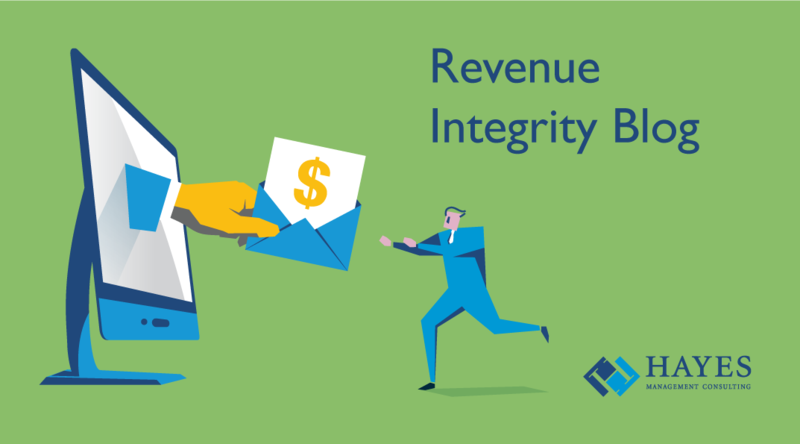 Forward looking healthcare systems that are committed to a robust revenue integrity program, take the time to analyze their revenue and reimbursement details. Based on their success, it is clear that it’s worth the time and effort each year to make sure your contracts are up to date and that that you are monitoring your underpayments on a regular basis. Staying on top of your underpayment activity is not as difficult as it may seem. There’s a good chance someone at your organization already has the information needed to get this ball rolling. Here are three key things you need to implement an effective reimbursement analysis program. As the pressure on top and bottom lines grows, many healthcare organizations are focusing on revenue integrity as a way to improve margins. Part of this effort requires lowering overhead costs by driving efficiencies into their revenue cycle operations. These streamlining projects include consolidating business office functions to minimize duplication of effort around registration, insurance assignment and verification and customer service on both the physician and hospital sides of the organization. An increase in merger and acquisition activity continues in the healthcare industry and this, too, can cause the need for a business office consolidation. Whether driven by a cost cutting initiative or merger, the consolidation initiative means merging the entire revenue cycle. Combining tasks, workflows and technology to create economies of scale can result in significant cost savings. Centralizing business office functions can be challenging. Before you attempt to take on such an ambitious project, you must be sure your organization can carry it out successfully. You need to understand the inherent differences between the organizations or divisions you plan to consolidate. You should start with a comprehensive assessment of your people, process and technology to provide a baseline from which to proceed with the project. This seven-point checklist will help you determine your readiness and will guide you in focusing on the areas you should be addressing as you begin your consolidation.